No chain restaurants. If we can help it. We try our best on this one. other rules are more flexible. We will go over other rules as we travel. We have made a deal to avoid all chain restaurants on our road trips. With that said I will post food and other pictures of where we eat. I will try to give my honest opinion of these locations too. We stumbled upon this trendy looking resturant when I decided I didn’t like my original dinning choice which was nearby. 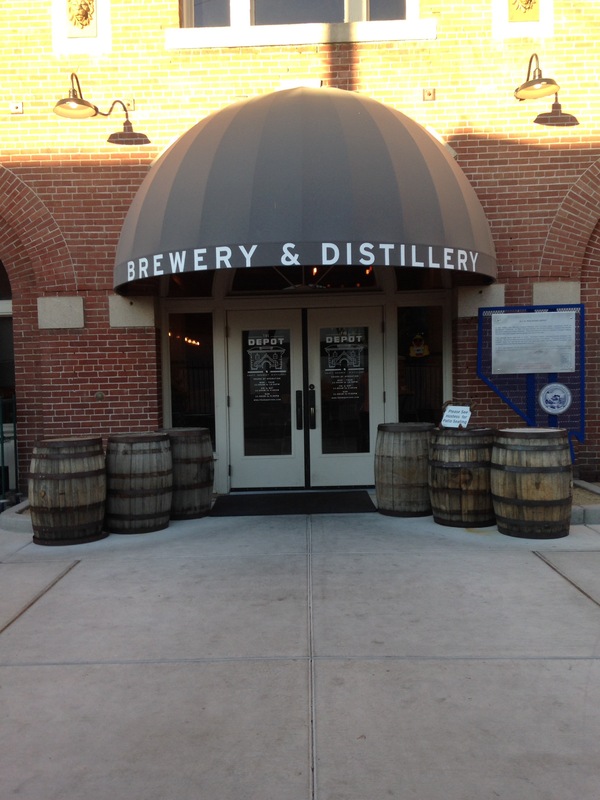 The front of The Depot is bright, clean and very inviting. They have indoor and patio seating. We chose to sit inside. 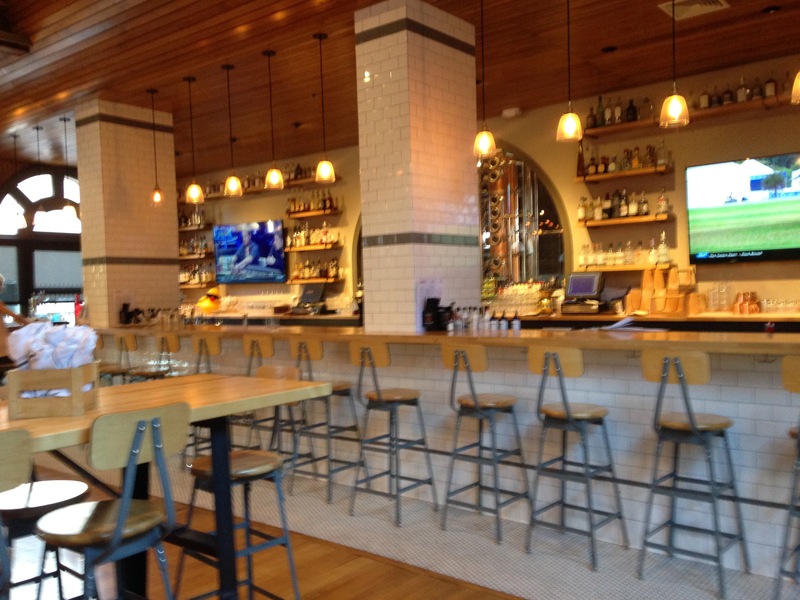 The menu was trendy, moderately priced and would please just about anyone. Lots of food I’m sure paired well with their beers. Since I don’t drink beer I was glad the food tasted good even without washing it down with a cold one. We ordered from the dinner menu. 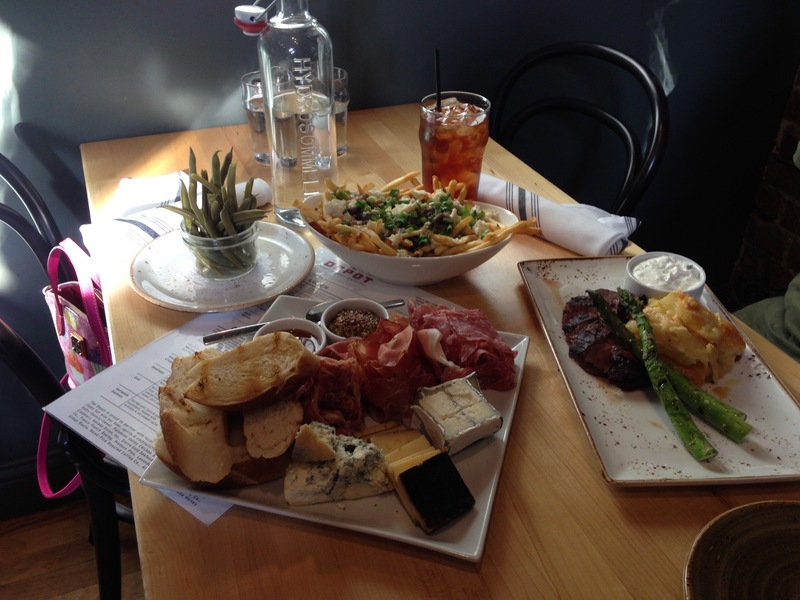 Snacks: Poutine, Pickled Green Beans (pickled in house) and the Charcuterie Board. 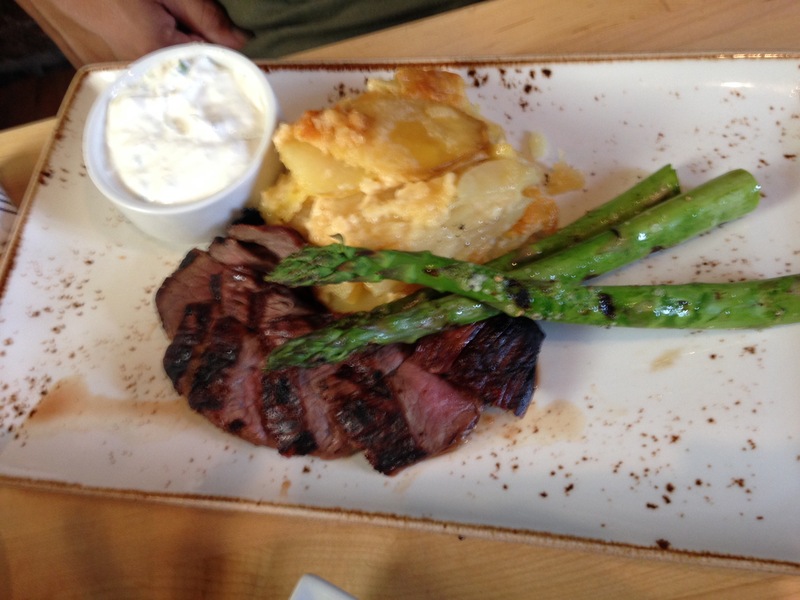 For our main meal we spilt the Marinated Tri-tip. 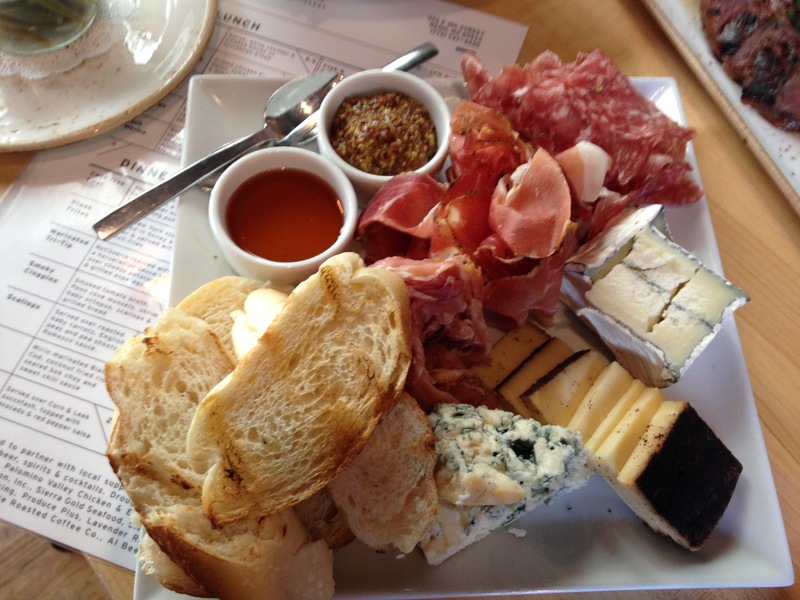 The Charcuterie Board had 3 cheeses, a goat, blue, and a cow with lavender. The meat was salami, Italian prosciutto and Smoked prosciutto. The bread was fresh. The sides were whole grain mustard and a local honey. I have decided this trip should truly be an adventure, so I tasted everything even though I’ve told myself I don’t like blue or goat cheese. It was delicious. Guess you never know until your try. 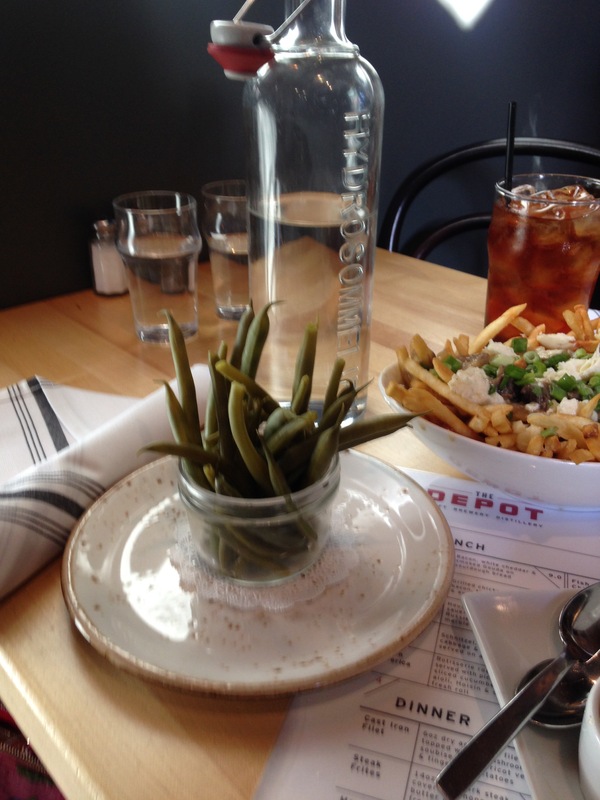 The pickled green bean were a new and different snack. I love all pickled veggies so I was good with these too. For those readers who don’t know, Poutine is fries, gravy and cheese curd. Never heard of it until I became a food tv fanatic. That’s for a different post though. The Depot used an oxtail gravy. These were my favorite. 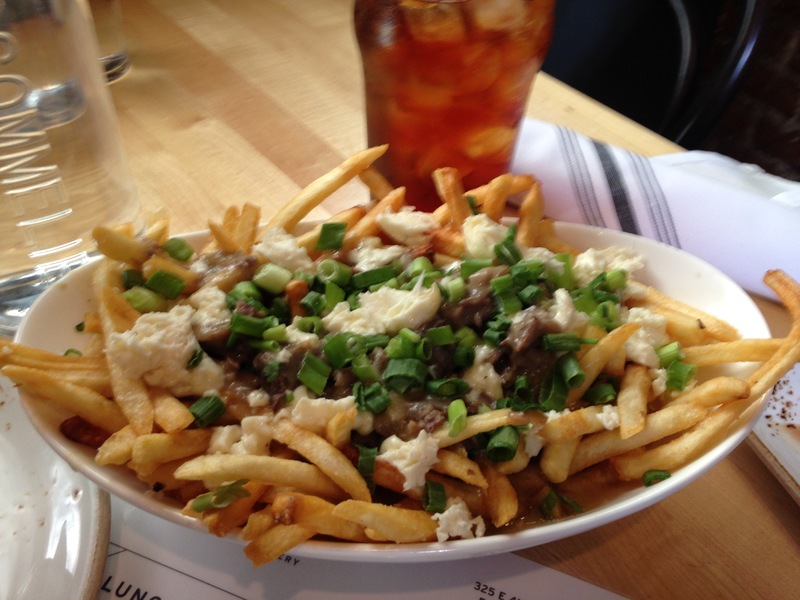 Chunks of oxtail meat in the gravy, creamy cheese curds and yummy fries. Lastly the tri tip was tender, not over cooked and so tasty. Hubby devoured that plates of meat and cheesy potatoes. 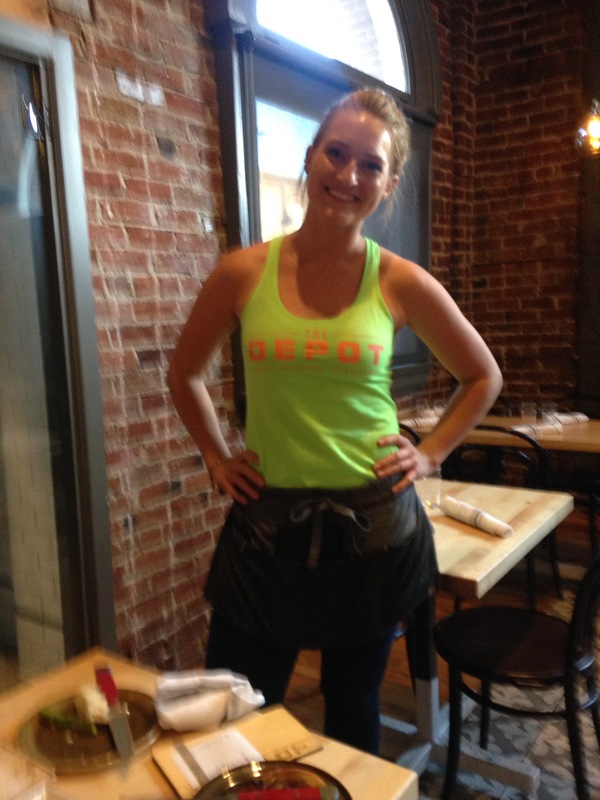 The Depot Craft Brewery Disillery was a yummy satisfying dinner find. Sorry I can’t give a review of the beers. Hubby and I just don’t drink much and I never drink with meals. That’s also more for my about me page. 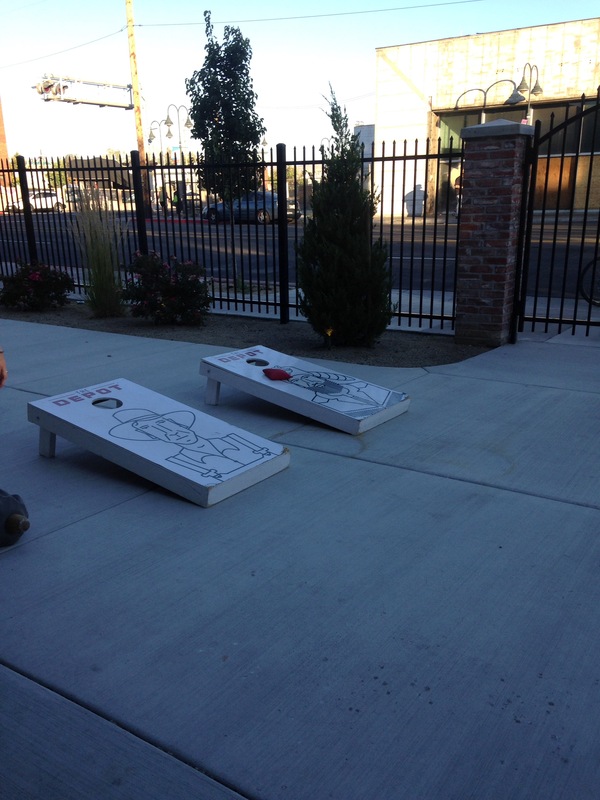 We walked out to the patio area and found some folks playing corn hole while having a cocktail. Just another fun thing at The Depot. I’m a list maker. I like to write down everything I want to pack and I try to be very thorough. Everything from blankets, tarps, first aid kit and other off the wall things you’d never imagine but have come in handy making my husband stop doubting my packing techniques. However on this day before we start this trip I can’t seem get it all together. I’ve packed enough clothes. Check. Everything not so much. We have purchased new bikes to add exercise to our trips. I have been riding for 2 days and my legs are feeling it making me not want to worry about what still needs to be packed. Guess if we forget something it’s not like we can’t find it, do without it or buy it. It definitely adds mystery to this trip. 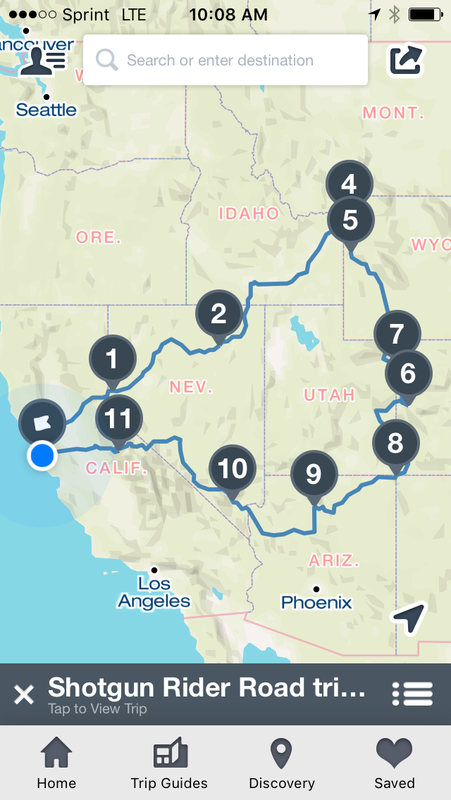 When planning for this road trip I was exploring different apps and found Roadtrippers. I’m still playing with it, making adjustments but so far I really like it. Here’s a screen shot of my projected trip.